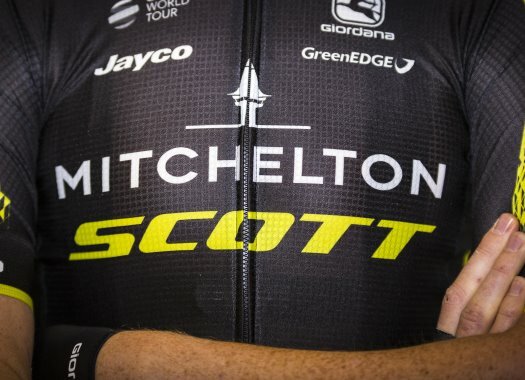 Mikel Nieve (Mitchelton-Scott) has won the 20th stage of the Giro d'Italia. The rider crossed the finish line on his own while Chris Froome arrived with the favourites' group. The penultimate stage of the Corsa Rosa was 214 kilometres long and had a profile that included three climbs of the first category. The main escape of the day included riders like Nieve, Valerio Conti (UAE Team Emirates), Matej Mohoric (Bahrein-Merida), Koen Bouwman and Robert Gesink (LottoNL-Jumbo). This group got an advantage of more than six minutes over the peloton. The penultimate climb of the day broke the front group until only Nieve remained as the sole leader while in the peloton, Thibaut Pinot (Groupama-FDJ) collapsed and quickly lost more than ten minutes with the pack, losing his podium position in the General Classification. With six kilometres to go, and as the peloton grew smaller due to the last climb, Tom Dumoulin (Sunweb) tried his luck and attacked, taking Chris Froome (Sky), Miguel Angel Lopez (Astana), Davide Formolo (Bora-hansgrohe), Domenico Pozzovivo (Bahrain-Merida) and Richard Carapaz (Movistar) at his wheel. This move was followed by attacks by Froome, Carapaz and Formolo. At a bit more than three kilometres remaining, Dumoulin attacked again and this move was followed by a counterattack of Froome. Metres later, Carapaz made his move and was followed by Lopez and Froome, leaving Dumoulin and Formolo behind. Formolo and Pozzovivo were able to make contact with Froome's group while it proved to be more difficult for Dumoulin. At around one kilometre to go, Dumoulin and his teammate Sam Oomen arrived at the favourites' group while Nieve crossed the finish line on his own, taking the fifth victory for Mitchelton-Scott in this edition of the race. In the last kilometre, Carapaz attacked and was followed by Lopez in a fight for the white jersey and the last spot on the podium. Dumoulin rode at the head of the favourites' group, taking Oomen with him, who climbed to the ninth spot of the general classification. Wout Poels (Sky) accelerated in the last meters and crossed the finish line with Froome. The Briton of Sky keeps the GC lead with one stage to go.